We all know that computer is getting smaller year by year because of the advanced technologies are available to us. People are often buying small computers even they also making gaming computers using their Mini ITX case. All the major manufacturers like Apple, Microsoft, Corsair, Intel, etc. are making mini computers and also they offer Gaming machines. We understand that why they are selling small computers because, in future, computers will be small enough to handle huge tasks. But the problem is that the lack of customizability in those machines. We can’t customize the machines, its customizability is limited, so here we should consider other third party mini itx cases. Finding a better case is very hard because there are many types of Mini ITX cases are available, so we decided to sort it out. 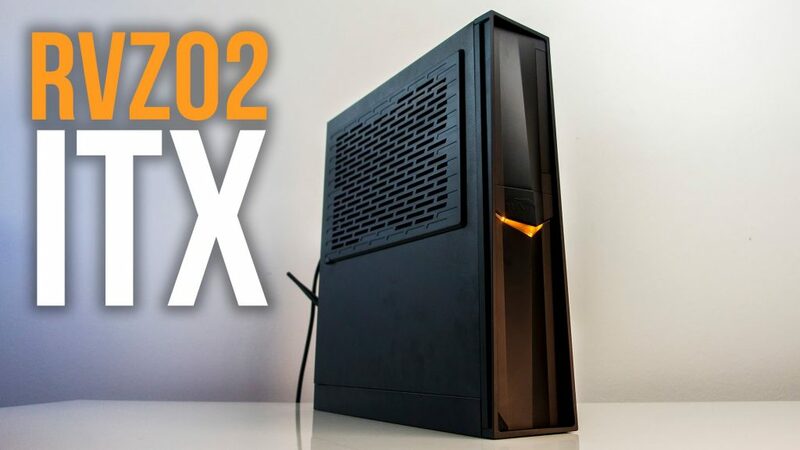 After many research, we found the best Mini ITX cases from all others. I’m Pretty sure that you were also looking for Mini ITX cases or else you will not read this post, right? Ok then let’s find out which are the top 5 Mini ITX cases on our list. Mini ITX is a motherboard form factor that is small in size. Commonly many computers are widely using the ATX or micro ATX Motherboards, but Mini ITX is different from this, because of its size. Mini ITX motherboard is smaller than others it is about to 170mm width and 170mm height. It also needs attention when choosing cases for it. Sometimes it is hard to find the exact cases can fit the components that we need. There are different sizes of cases are available but when choosing a Mini ITX board the main aim of the user is to make the computer smaller, so here we need smaller and compatible cases. Here are the best cases that we love. These are the top 5 Mini ITX cases that we found on the internet, and I’m using the Streacom F1C Evo case because I love the console sized computers. I am also going to buy the other case called NFC S4 Mini. I listed two tower cases, and three consoles sized cases so that selection will be easier for you. Let’s expand all of these and learn something more about it. Example configurations that you can built using these cases are listed below. Exansion slots will be vary depending on the hardware that you choose. NFC S4 mini is one of the best consoles sized mini Itx case available in the market. If you like to have a console sized gaming PC, then S4 Mini is the right choice because of it worth your money. The S4 mini case is built with full of aluminum so that it gives the more premium finish. I will appreciate Josh’s work for making S4 mini the best because he is working hard to get this case fits all our needs so that he gave us an option for customisation he also sells the pre-made accessories for making S4 mini unique. Extra accessories are available for s4 mini such as the front bracket, power button, 3D Bezels, different skins, etc. As I said that it is the best console sized PC because it is smaller when compared with the other cases on our list. Also, the customizability makes it more attractive. The only sad thing is that it will take more time to ship because Josh is the only one who manages all these so that it will take some delay to ship. Now you can order it from the official S4 mini site. I hope that In future he will make the shipping faster. Here is the quick specification about the NFC S4 mini case. The Phanteks is a great company that has the great products all those products are high in quality. Phanteks Enthoo series is getting more attention now because of its design and premium look. Phateks also offers the Mini iTX variant so that users won’t go away from their products. I don’t need to talk more about it because the picture will tell the rest. All famous YouTubers were done reviews about it so there is nothing to explain if it is not a best case then they won’t make reviews about it right?. 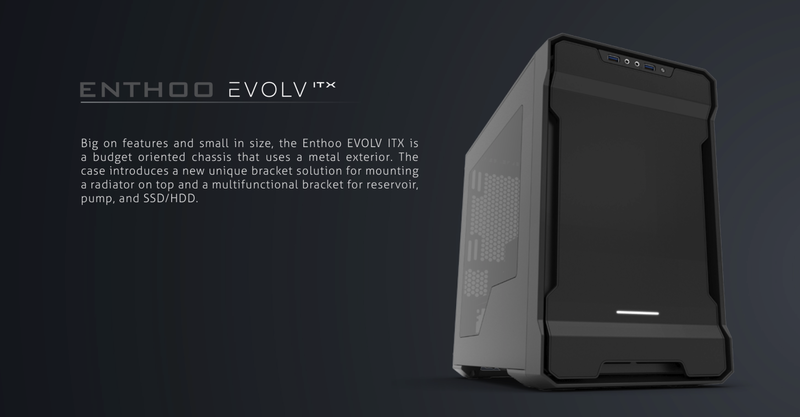 The Phanteks Enthoo Evolv is a tower case, so there will be more space for our extra components such as 3.5″ Hard disks, Radiator Fans, and Custom Liquid cooling. Now you thought that is it a Mini Itx Case? Yes, brother, it is, that is why it is on our list. Let’s take a look at what is more. The Dr. Sentry is an another console sized mini itx case that we can find on the internet. Zaber Sentry is available through a crowdfunding campaign on Indigogo. 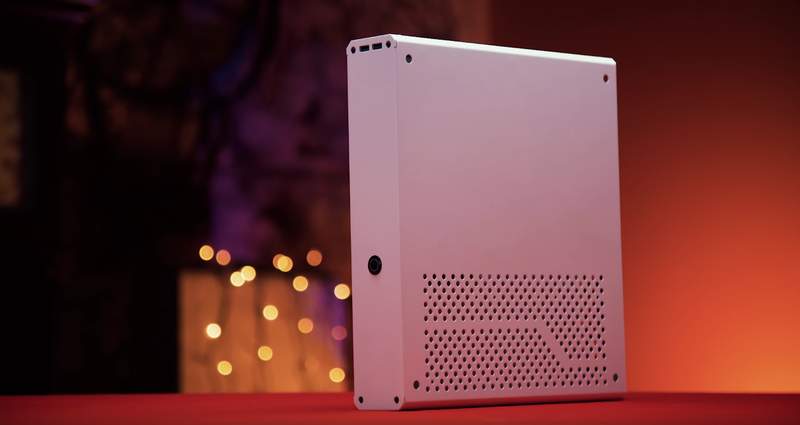 Sentry is a high-quality chassis that built with a premium quality aluminum also it is slightly larger than the S4 mini because it can fit an SFX power supply and a full-length graphics card in it. What makes sentry unique is that in small size it can fit a full-sized Graphics card so that it can also be called as a gaming computer. Their website has a live design page option so that the users can see how exactly the components are fit in it because of this; users can choose the components according to their design. The major advantage of a console sized PC is that the portability, we can take it anywhere using our backpack. When it comes to the PC Case manufacturing, today SilverStone is growing well. Talking about SilverStone the best selling product of Silverstone is that the Mini ITX case because of the price range. This console sized PC case is cheaper than the other console sized Mini ITX Cases from our list. The best attraction of SilverStone case is that they offer a Handle so that we can easily carry the entire system one place to another. 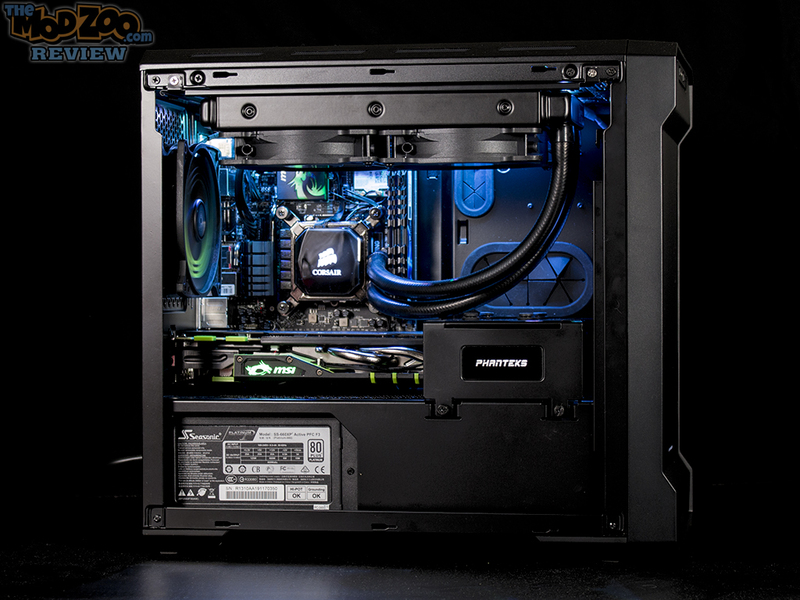 It uses the SFX form factor PSU so that it can manage up to 330mm GPU without any hiccups. Above from all, the price and design are to be considered here because these are the primary factor of SilverStone Case. 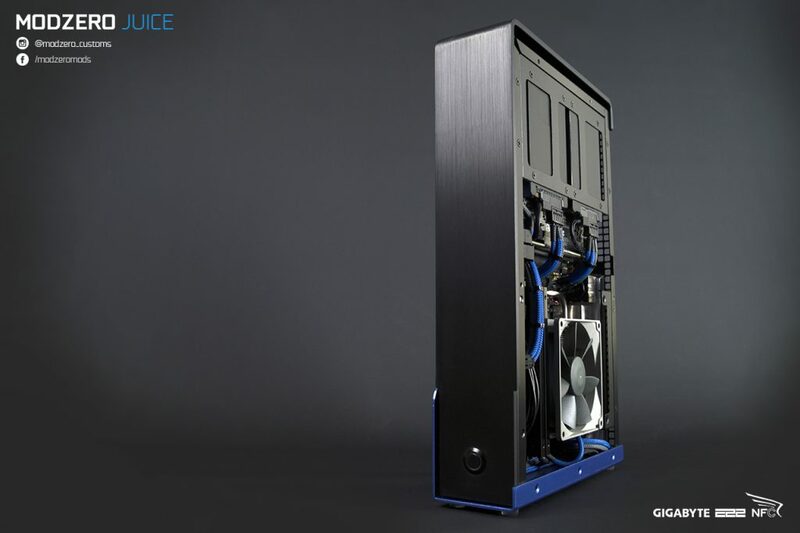 If you are looking for the budget Mini ITX case, then Milo Case is for you. The metal quality of Mino Case is solid that we can feel it in our hand also the cable management of the case is easier. There are lots of clearance is available for the cable management. If we only install the Mini GPU, then there will be more space to fit some 3.5″ or 2.5″ hard disks. Take a look at some specification for the better understanding of the Milo Case. 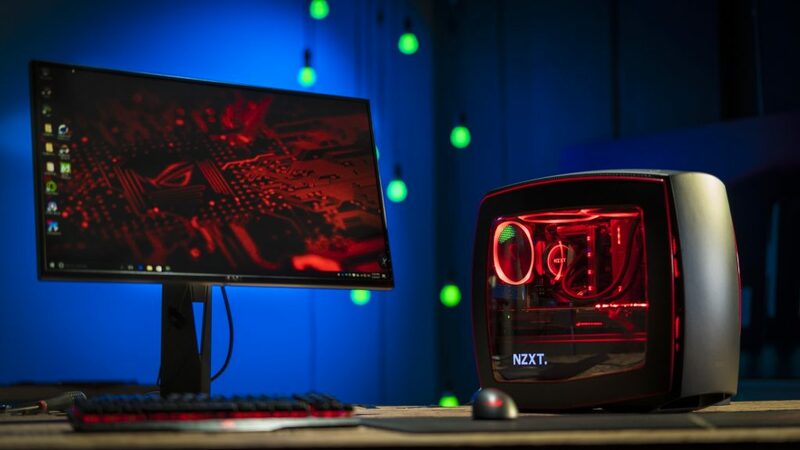 The design of NZXT got 100 marks the cool looking, and curved shape is the major attraction of Manta Case. NZXT is taking a big leap on their products by giving such a premium look to it. Manta also has some accessories to go along with it. The one is that the RGB Lights, it has a stock RGB LED board to connect extra LED Strips. Also, the cable management has improved well in this case. We can manage our cables and make the front of the case more attractive. The tempered glass is the other main selling point of the Manta case. It showcases our internal component more beautifully. By making better cable management and attaching an RGB strip we can make it more elegant and attractive case. Both NZXT and Phanteks has the tempered glass options so that these two will be in a head to head competition but the decision is up to you. I don’t here to speak a lot about it; you already understand all you need by seeing the pictures from here. I just added one more on our list because it deserves it. Streacom F1C is the smallest mini ITX case that we can find on the internet. The better quality 3.5mm aluminum makes it a premium product. To use this Mini ITX case, We should sacrifice the use of external graphics card because Streacom F1C doesn’t have any space to fit a Graphics card. Its overall size is almost the same as the Mini ITX motherboard. The crazy thing about the F1C is that Streacom also offers a model with an optical slot, There are two variants are available one with optical slot and the other without the optical slot. I’m using streacom f1c without the optical slot. I already did a review about Streacom F1C The smallest HTPC Case in the world, check it out. Finally, You were here; all these cases are now available to purchase if you use my affiliate link to buy then that will be a tremendous support for me. If you have any doubts regarding your build, you can ask me by anytime. In 2017 these cases are getting more votes so what do you think and which one would you buy If you find that any other case is better than this then give me a comment below also share your thoughts. Have a great day.